The problem with following local restaurants and cafes on Twitter is that they’ll tweet about what they’ve got on for lunch, and it makes you look at your tinned soup or limp sandwich and sigh. 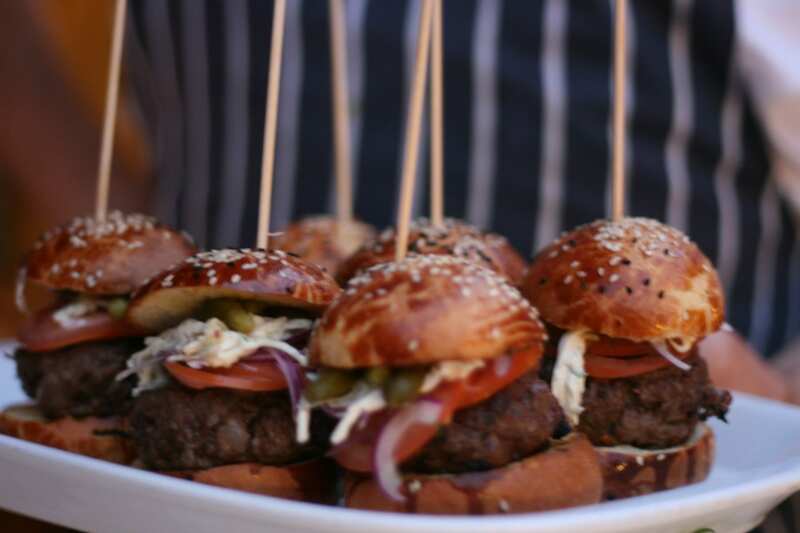 Goldbrick House is especially bad for this, because I know how amazing the food is there – we’ve been a few times for food (and even more of course for cocktails). 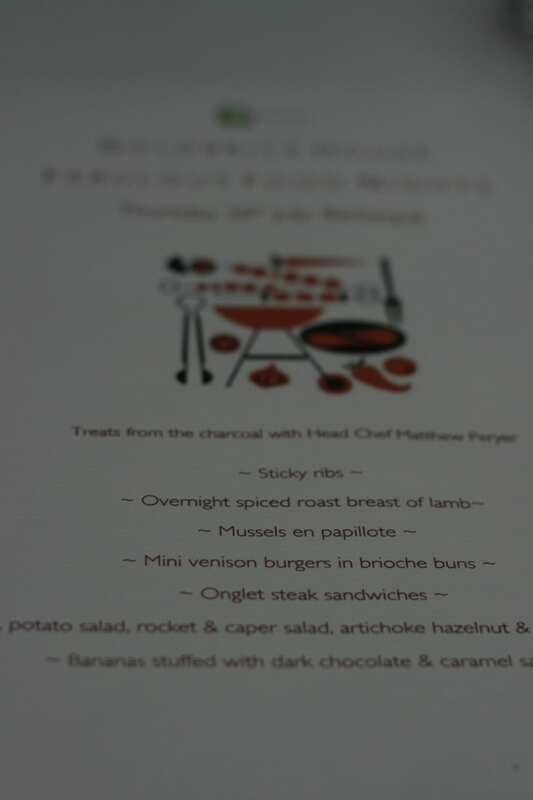 So when Ben at Goldbrick asked if I’d like to go along to their fabulous food evening, I couldn’t say no really. I arrived to find a few people on the terrace upstairs. I hadn’t been out there before, only having been in the loft part of the restaurant once before. The terrace is gorgeous, with a great view of central Bristol, and so quiet up there! Its hard to remember that its on one of the busiest streets, Park Street. There was someone who looked quite familiar, who then said to be that I looked very familiar – turned out to be Emily from Bristol Bites who I’d been tweeting at earlier that afternoon! I sat next to her and her friend Sarah, on a long line of tables. 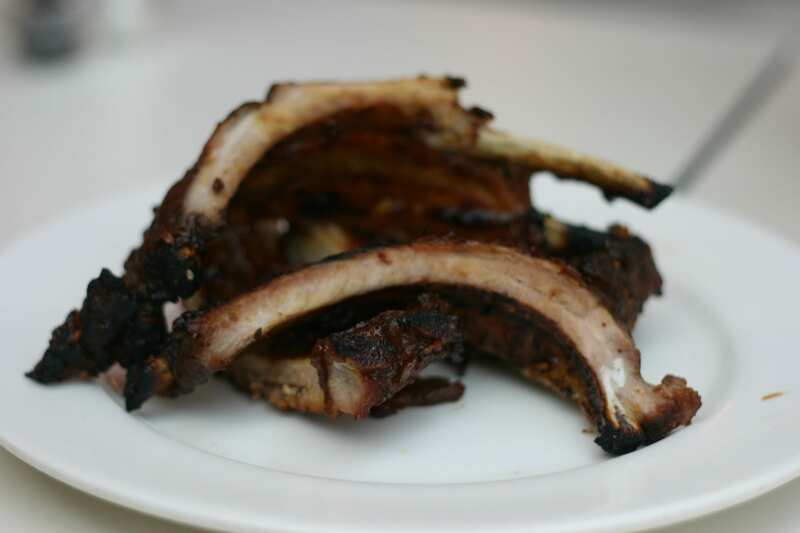 Sticky Ribs – these were one of my favourite items on the menu, I love ribs (theres a story involving Gauchos in Utrecht, a big group of bikers, unlimited racks of ribs and bottomless plates. Oh. Yeah, thats pretty much the whole story) and Matt explained how easy these were to prepare – so easy I might even have to try myself. Maybe. 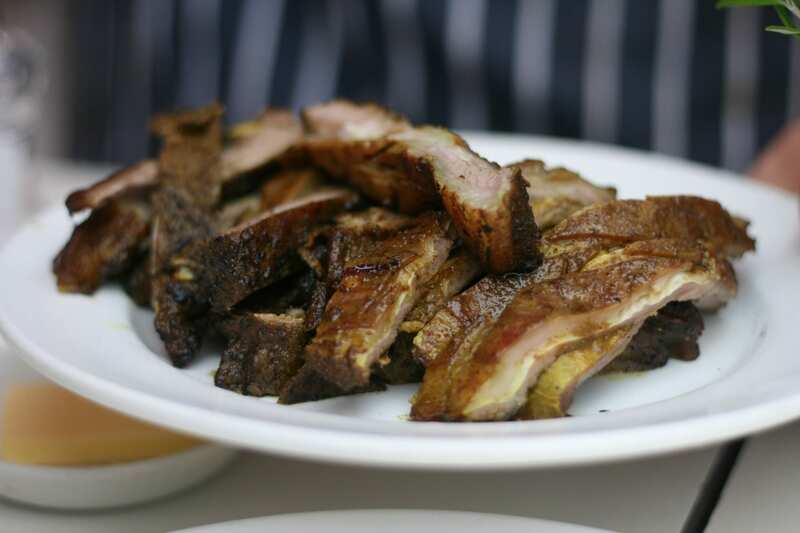 Next up was overnight spiced roast breast of lamb – I only had a small amount of this but it was again, amazing. 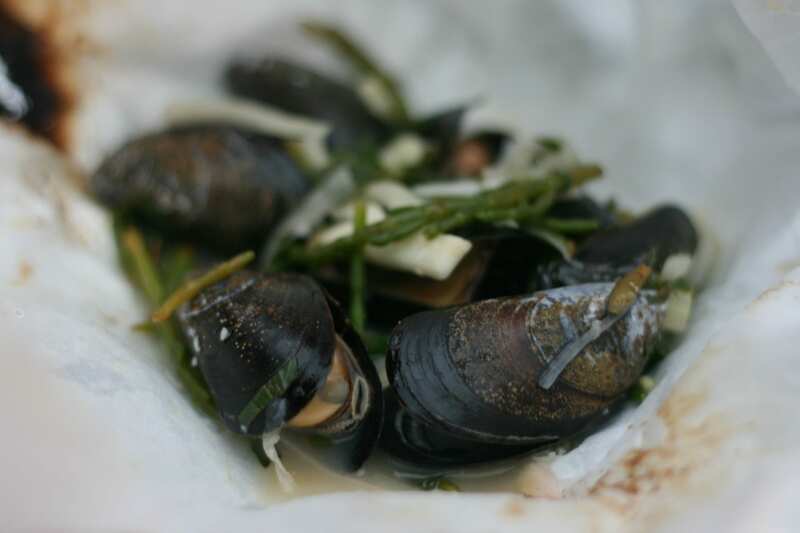 I don’t think I’ve ever had mussels before, so the mussels en papillote were a interesting experience. That sort of phrase usually means they were horrible, but they were actually really delicious. 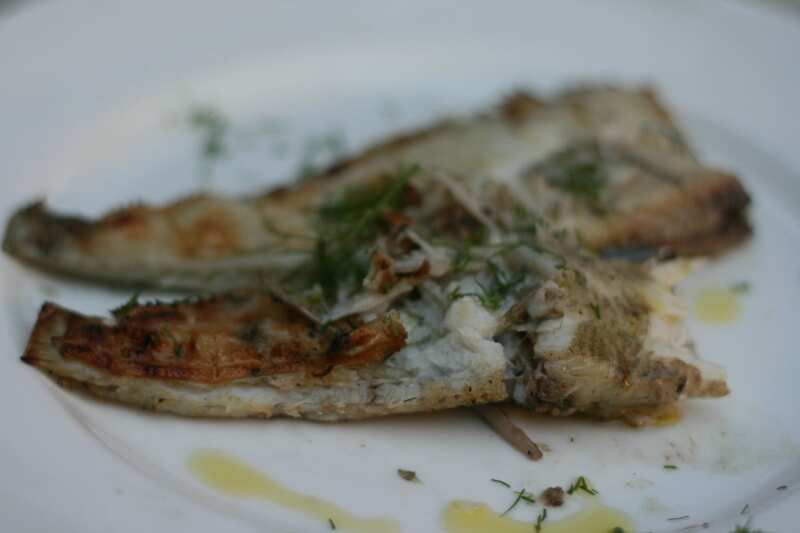 Chargrilled plaice was next – I have to admit that I couldn’t eat very much of this because of the teeny bones. Still very yum. The best food things will involve meat, sweetness and/or be a mini version of themselves. 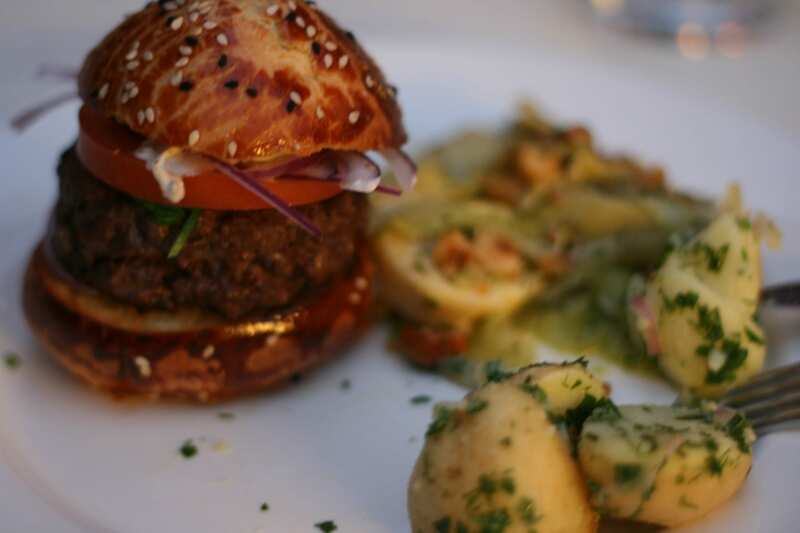 So the mini venison burgers in brioche buns ticked off all the required items and were yummy. 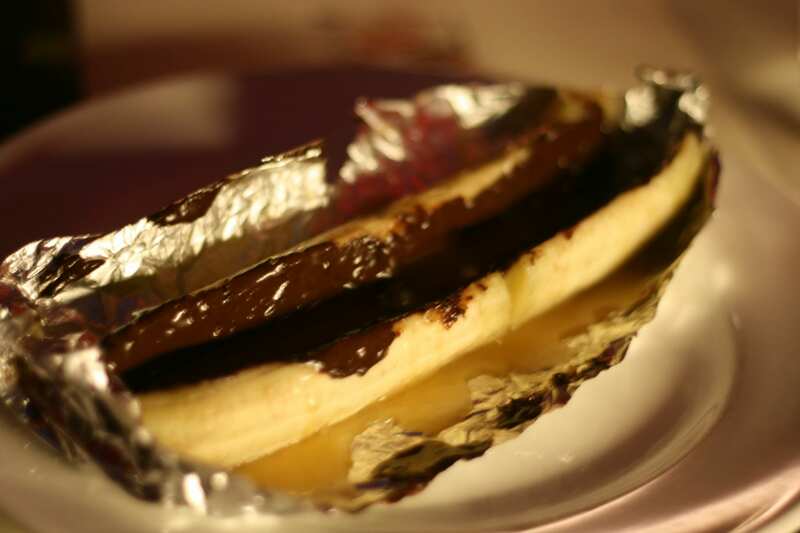 To finish up, we had bananas stuffed with dark chocolate with caramel sauce. It was a really struggle to eat this but I managed at least two thirds. I’m a trouper. I had a fantastic evening, and felt extremely full afterwards – its a wonder that I didn’t just roll down Park Street to the bus! 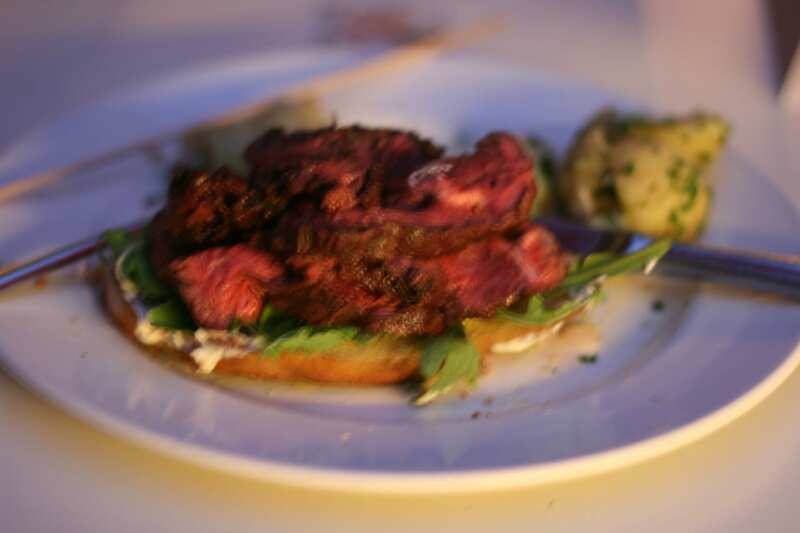 Thanks to Matt, Ben and everyone else at Goldbrick HouseÃ‚Â Ã‚Â – I always have such a great time there whether its food, drinks or events.Ã‚Â The next night like this is on 25th August, and is all about steak. If I thought this was a meat overdose (there is no such thing) then the steak evening promises to be meat coma inducing! Woop…love it! Your photos came out really well, I like! Was definitely a LOT of food for an evening, but had a fantastic time, and definitely want to go back for one of their upcoming Fabulous Food Nights! Next time I’m coming in your handbag! OMG this looks amazing! I just ate my tea and I am hungry again just looknig at your photos!